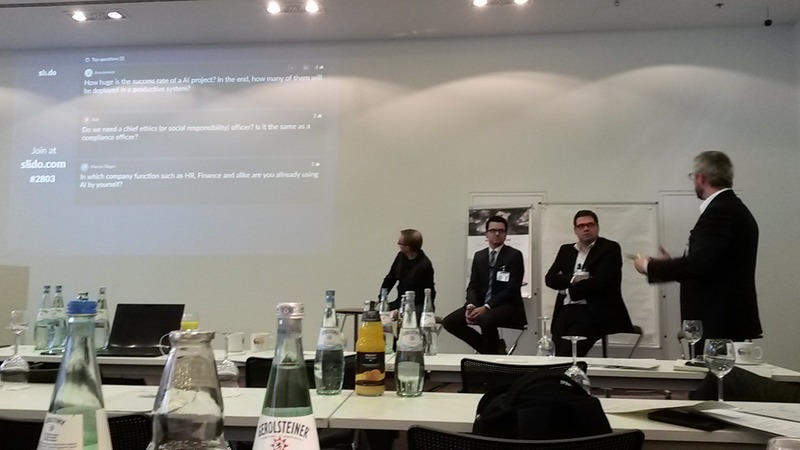 I had the opportunity to attend the International VDI Conference about Artificial Intelligence on the 29th of November 2017. This event was mostly designed for managers and chief officers to get in contact with different companies and their experience and projects with AI, not only to explore the state of the art technologies, but also to network with each other. 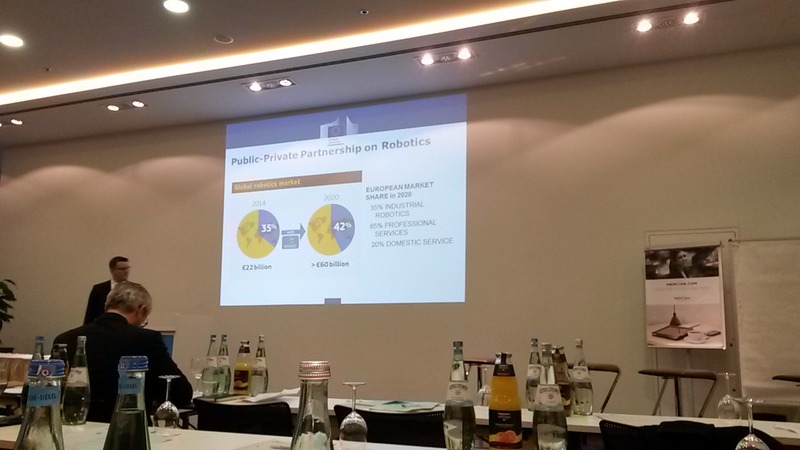 Moreover, scientists presented their current research topics and members of the European Commission discussed about the ethnical requirements for an international use of AI technology. The day I attended, international companies like Microsoft, Continental and Nvidia shared their approaches with intelligent software and systems, like for example autonomous driving. After each presentation, we had a panel discussion about these topics and could interchange our points of views or questions. The most interesting part happened in the afternoon, when I could share my knowledge and experience with company leaders about use cases and how to solve them. During these conversations I experienced, that most of the mentioned use cases are already covered by my study program or our company. I always thought: “Yes that is what I currently study” or “SAP already put some effort in solving exactly this problem”. In my opinion, it would be a great opportunity for those companies, if they would invite students of related topics as well. It was an exciting day with great people. In the end of the day, I was convinced that I and SAP are on the right track and that the topics of Machine Learning and AI are very promising in a business context. I love your post you have shared here on your site. I would like to share it with my friends on all my social media accounts. Thanks for writing such an informative content.You must visit Grindr for pc . Nice Article now days everyone want AI keep posting. TalktoWendys survey portal will ask you to enter some information such as Wendy’s restaurant number as well as the date of visit. Get answers from the Mypremiercreditcard staff and other customers. After Language selection now its time to provide 8 digit number from your recent visited restaurant receipt. Over the years I’ve gained interested in how people transact using their credit cards and any other payment options and resulted to helping them enjoy the experience and find the most appropriate method for them. In the wake of leading a nine-month test, McDonald’s picked fast McDonalds WiFi supplier Wayport to give remote Internet access to a large number of its eatery areas.